iPhone Flower Wallpaper // How fabulous is this iPhone download from Parima Creative Studio? The best part? It's free! You'll want to download it stat. Tassel Garland Kit // Add a little snazz and a dash of pizzazz to any party or room with this garland from Waiting on Martha. I think I could feel crafty with this kit. Kate Spade 'The Great Gatsby' Clutch // Can't wait to see the movie. The soundtrack is amaze balls! 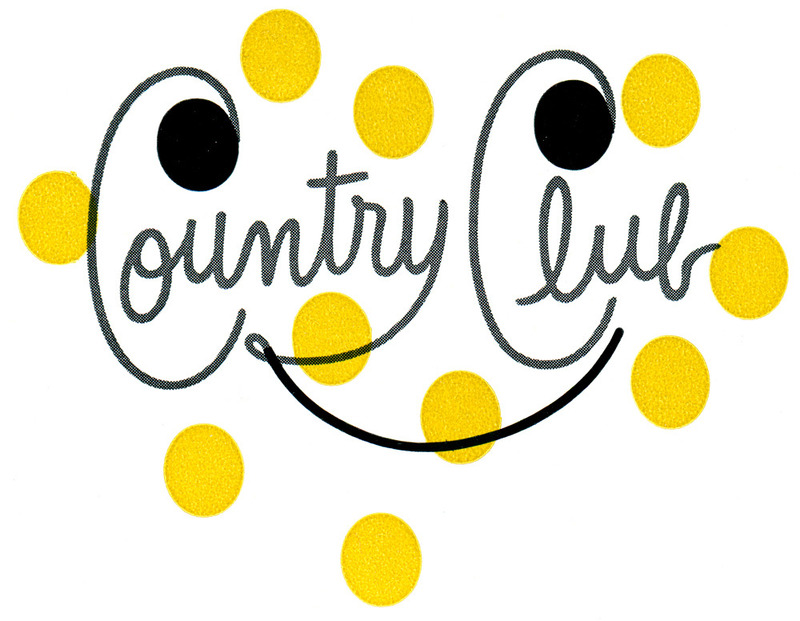 Country Club by Paul Rand // This typography is outstanding. I want to jump inside the polka dots. Beach Defined // I have the entire weekend off, so we plan on soaking up the sun. Of course, we'll need the weather to cooperate to make this happen. Fingers crossed. Eddie Bow Ballet Flats // When Kelly posted these on her blog yesterday, I was instantly smitten! I've never been a huge Tory Burch fan, but these could be my first purchase. The price is a bit steep (okay, a lot! ), but that color is fabulous!!! Happy feet is an understatement. Ponza Dog Canape Plate // Oh, Anthropologie and your adorable kitchenware. Stop being so cute already! Shake Your Money Maker // I typically stick to shades of red, pink, and orange, but I might give this a shot. I'm a sucker for all things green. Let's Dance Cuff // As if I really needed an excuse to dance, I'm loving this accessory and its cause. Lip Sync-Off with John Krasinski and Jimmy Fallon // A friend shared this clip on Facebook, and it made my week! You bet I'm sporting a double-barrel grin when I watch it. Jim Halpert is adorable, and I'll probably cry my face off next week when I tune into The Office finale. Michael Scott, please make just one more appearance! I don't think that's too much to ask. Soft and Chewy Snickers Chocolate Chip Cookies // Once Flyboy is done with his triathlon, you bet I'll be making a batch of this sinful sweetness. For now, I'll just share the recipe with you. Blooming Monogram // This could be the most gorgeous DIY I've seen in awhile. Makeup Musts // This week, I shared some of my makeup musts with Kelsey Nicole. Check it out! 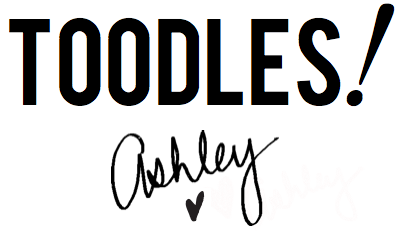 Blog Questions // I figured it was time to pick your brains. Facebook pages for your blog. Yay or nay? I don't have one, and I'm not sure if I should or not. Also, I've considered purchasing my domain, but I'm not sure what to call it. I think One Fine Day is already taken. I chose smitten and swell when I created this blog because I didn't know what to call it and they're my favorite words. Makes complete sense, right?! Does anyone have any advice? Do I stick with my Twitter and Instagram username instead (onefinea)? Weigh in, if you'd like! Cheers to a snazzy weekend! Oh, and listen to your mother. She's probably right! P.S. I apologize that things on the blog have been a little light over the past few days. This week has been crazy, and it's been a struggle to keep up around here. In fact, I know I owe some of you emails!!! Needless to say, I'm glad to welcome the weekend! Next week will be brimming with bloggie fabulosity. I promise.